The National Infantry Museum, located in Ft. Benning. Ga, is currently hosting The Last 100 Yards: The Infantryman’s Legacy of Valor and Sacrifice exhibit. Experience 240+ years of American history in immersive exhibits that put you on the front lines for the Last 100 Yards. See what it takes to be a U.S. Army Soldier and be reminded why freedom isn’t free. The story of the Infantry’s history – at least the pieces of it that can fit inside one museum – is finally complete. 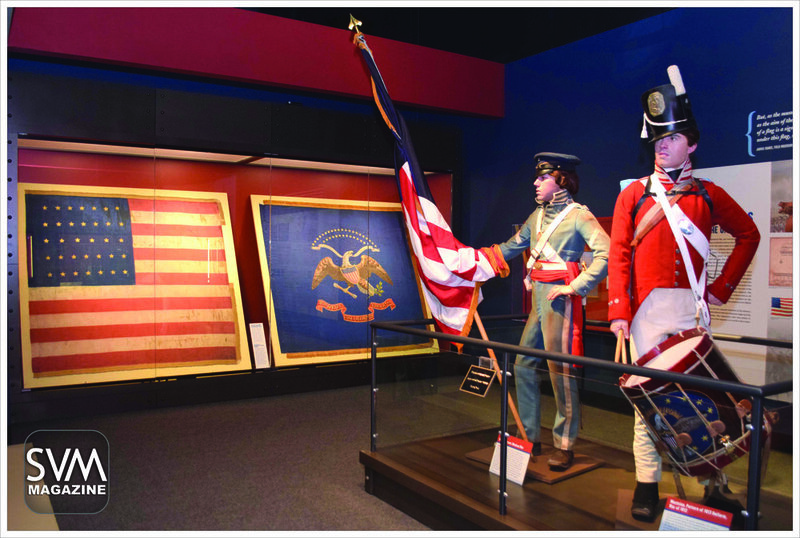 The National Infantry Museum has opened the long-awaited Securing our Freedoms/Defining the Nation gallery, which chronicles the branch’s history from 1775 to 1889. When the museum opened in 2009, budgetary constraints put the completion of the planned Revolutionary War and Civil War galleries on hold. In 2011, the museum offered one of those two unfinished spaces to the Armor branch, which had just moved its school to Fort Benning. Visitors to the new 5,100-square-foot gallery will be transported to the years preceding the Revolutionary War, and will travel through to the end of the Frontier Indian Wars. 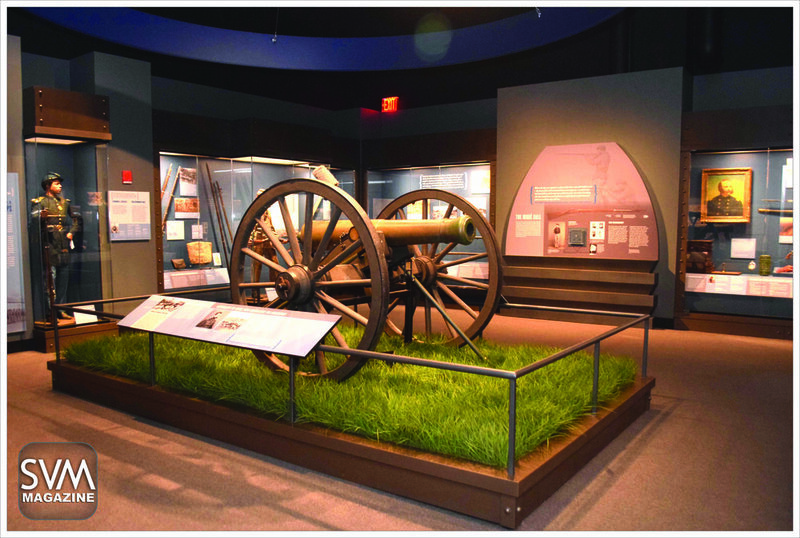 Among the 175 priceless artifacts now displayed are numerous muskets and rifles, a 200-pound mountain howitzer used in the Mexican-American War, a Civil War era James Gun with its innovative rifling system, and the Gatling Gun – the forerunner of the modern machine gun – used in the Frontier Indian Wars. There are interactive kiosks, too, including one that illustrates the challenges of building a disciplined and effective Army, and one that demonstrates the critical role of music in communication on the battlefield. Two large silk regimental and national flags from the 2nd United States Colored Troops – among the museum’s rarest artifacts – are on display for the first time. The new gallery was formally dedicated at a ceremony at 10 a.m., Wednesday, June 14, the Army’s 242nd birthday. The guest speaker was LTG (Ret) Tom Metz, Chairman and CEO of the National Infantry Museum Foundation. The 190,000-square-foot National Infantry Museum and Soldier Center chronicles the history of the American Infantry from its formation in 1775 to the present. On display are tens of thousands of priceless artifacts telling the stories from Bunker Hill to Baghdad. Soldier Center includes elements that make the modern museum visitor’s experience complete: a giant screen theater, the Fife and Drum restaurant, and the Soldier Store, operated by Ranger Joe’s, an iconic name in the military retail field. The 155-acre campus includes an authentically restored World War II Company Street and a five-acre parade field and stadium that holds 2,100 people for weekly graduations of Fort Benning trainees. Heritage Walk is lined with flags of all American states and territories and features customengraved granite pavers purchased by those who wish to honor a loved one. The $100 million National Infantry Museum and Soldier Center opened on June 19, 2009. In eight years, 2.5 million people have visited the museum. It is the number one rated attraction in Columbus on TripAdvisor, and has one of the highest ratings among attractions statewide. It has earned a prestigious Themed Entertainment Industry Award, and, in 2016, was named USA Today’s Best Free Museum.